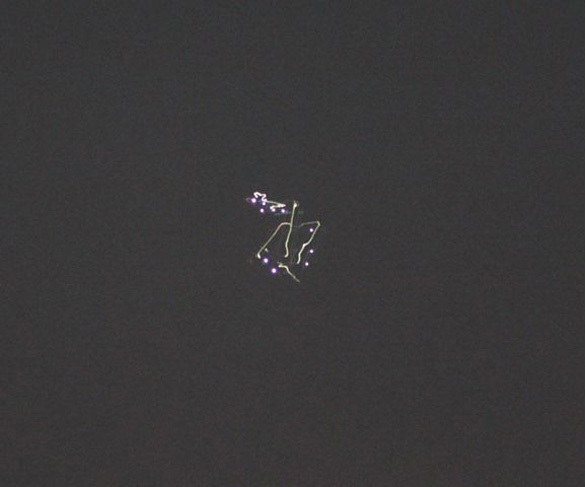 A mother and her daughter spotted UFOs flying over their home outside of Nanton in southern Alberta, Canada on Sunday, and were able to snap a couple of pictures. Neighbors reported seeing the same objects earlier in the night. 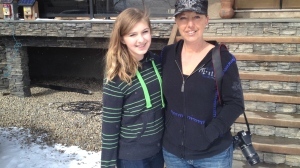 Sam Martine and her daughter Baylie say they were watching TV at 11 pm when they noticed bright lights hovering over a nearby field. When they went to have a look, they say the lights started moving towards them. They passed right over the Martines’ home and continued to the northwest. She says the lights hovered in the same place for a few minutes then began moving upwards. That is when the two went outside and the lights began moving towards them. Sam was able to snap two pictures, one of which can be seen here. Sam says she thinks the objects also startled her cattle. The next morning she found they had run through the fence, and were standing on a nearby hill. Luckily, none were lost and they could all be accounted for. 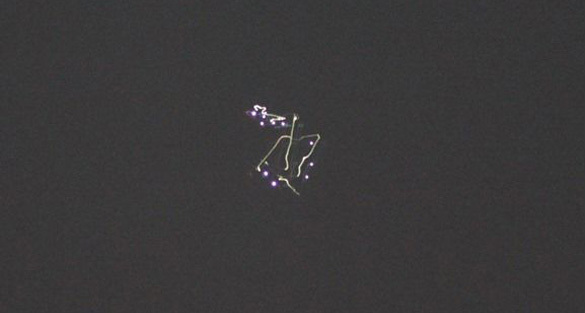 However, Sam and Baylie Martine were not the only two to see strange lights that night. About a mile northeast of the Martines’ farm, Pat and Donald Comstock saw lights they could not explain. Pat says she was in the kitchen knitting sometime between 9:30 and 10:00 pm when she noticed a bright light shining in the kitchen window. She looked outside and saw two white lights, one higher than the other, coming towards their house. She called Donald to have a look, and they both went out to their deck to get a better view. They noticed that the lights were at the front of the objects. Donald said the moon was bright enough to see that the objects were made of metal. He said they were dull metallic in color. The Comstocks do not believe the objects were helicopters, because they did not make noise like the local ambulance helicopter. Pat reported her sighting to Nanton News after hearing about the Martines’ account. She figured that what she and Donald had seen were the same objects the Martines’ had seen when the objects made another pass by the neighborhood later that night. CBC News notes that Alberta is no stranger to UFO sightings. Rutkowski recently co-authored a report called the Canadian UFO Survey documenting 1180 UFO Reports in 2013. Over 100 of the reports came from Alberta.